I’m very excited about making these marketing podcasts because this is a completely new venture for me and as with everything on the MarketingForOwners.com site. 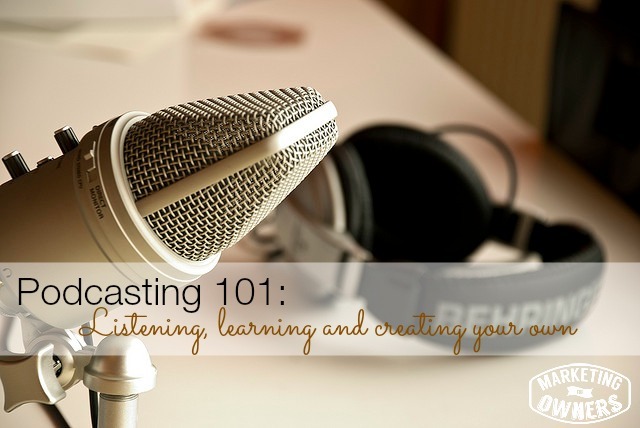 It’s a learning experience where we can all learn together, so let me tell you a bit about it. I love marketing Podcasts. I listen to podcasts on my way to work, when I’m making dinner, when I have some quiet time. It’s fantastic and an extremely easy easy way to consume content, news and education. So I’ll be creating these at three to five minutes every weekday, unless I’m ill or not capable or sitting on an airplane somewhere. Each one will aim to help us learn together. Over the years, I have been in a few businesses and I have learned a lot. I have learned what works and, quite often, I have learned what doesn’t work. And, believe me, a lot doesn’t work. I’ve tried a lot and failed a lot. There’s no better way of learning than to talk about everything together and learn from each other. I have discovered that there are full basic parts of modern marketing, and by modern, I mean using free low cost offline, online, tactics, tips, tools and making it simple; things you can do yourself. You don’t have to employ sales people. In fact, you shouldn’t need to have a sales operation because the marketing should bring a list of customers to you. And that’s the journey we are going to go through. The four parts are these. To start with you need to know who are your possible customers. Then we need to move them along to where they are your probable customers. And from that, we need to convert those into purchasers. Wonderful, but that’s not all. The best part of all is where we move the purchaser forward to become a preacher. Now that’s the Nirvana. That’s the ideal situation. That’s what Apple has where all their customers go and tell all their friends how wonderful they are and why they should be buying from the same place. That’s our aim because then your customers do your selling for you. You can get on with your work or spending life with your family, removing stress, sleeping better, etc. So, each weekday, I’m going to put out the podcast. It’s available as audio or video with audio. You would find it on ITunes and Stitcher and other places. It would also be posted on the blog here at MarketingForOwners.com where you’ll find it on the podcast section. Any links mentioned will be put it on the show notes on the blog page. Each day that we have a feature so, for instance today on Monday I’m going to recommend that you read a book. Hopefully, you do read books as continuing education is essential in this world. 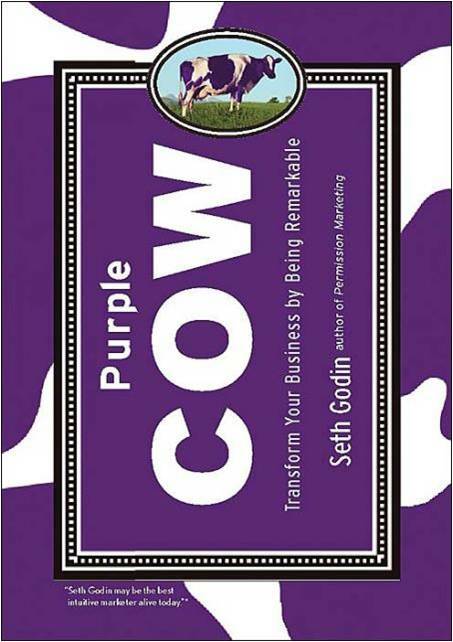 We are going to start with a great Seth Godin and his book, Purple Cow. Want more book recommendations? Check out our extensive book list that grows each week. Want to get one of those books for free? Click here for the details. Also we have our wonderful sponsors to thank. The Marketing For Owners podcast is brought to you by Rainmaker which is the new blogging and website platform from the folks at Copyblogger. A famous organization that is very successful and all of their sites now run on their own Rainmaker platform. You can find out more information at the following link at bit.ly/mfo-rain. MarketingForOwners.com runs on Rainmaker. It’s wonderful. We don’t have to worry about a thing, as it’s fantastic. Go have a look. Anyway, that’s it for today. The first episode is over and done with and was short and sweet. I hope you come back tomorrow and I hope we are going to learn a lot together on this journey.